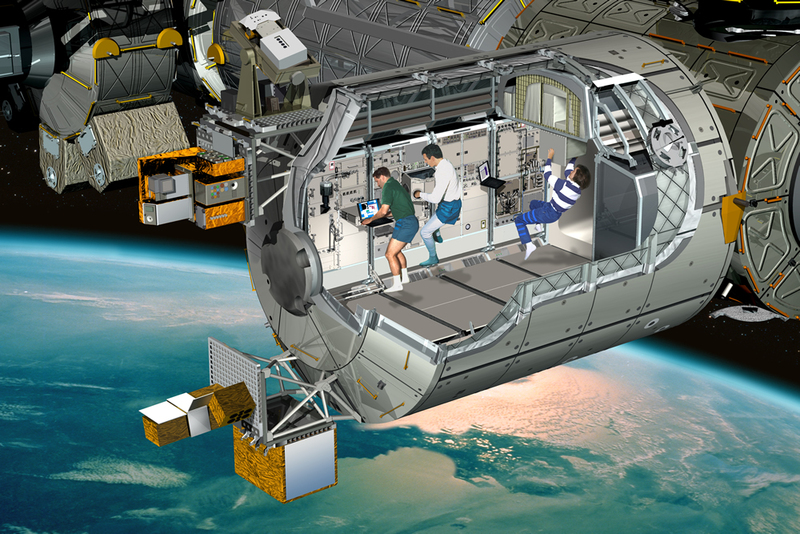 6 December, the U.S. Space Shuttle Atlantis is set to lift off for the International Space Station (ISS) with a new key element of the giant orbital Meccano set: the European Columbus laboratory. Named after the explorer Christopher Columbus who discovered the New World in 1492, the Columbus laboratory is Europe’s chief contribution to the ISS programme. The laboratory cost €880 million and its construction by a consortium of 41 companies from 14 countries took 10 years, overseen by prime contractor EADS Astrium Space Transportation, which conducted final assembly in Bremen, Germany. 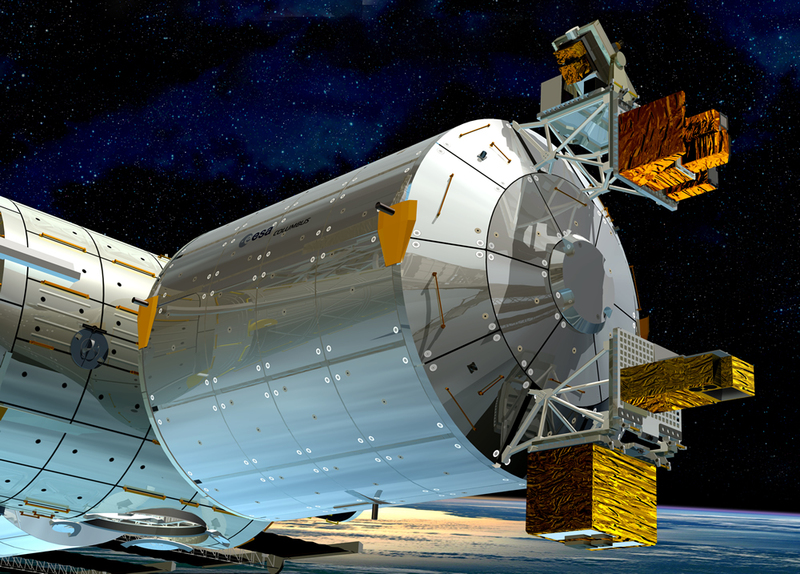 Columbus is the 3rd module of the ISS dedicated to microgravity science. The European laboratory is a large cylindrical aluminium structure with an empty mass of 10.3 t. It is 7 m long, spans 4.5 m at its widest point and offers a capacity of 75 m3. The pressurized laboratory will be docked permanently to the ISS and able to support a crew of 3 and accommodate 10 experiment payload racks. These interchangeable modular racks will house experiments for fundamental research in biotechnology, fluid physics, material science and life science. 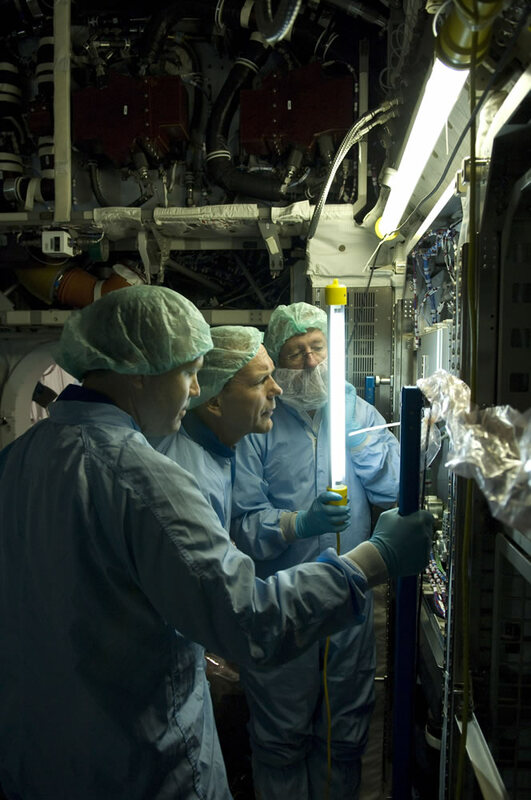 The European Physiology Module (EPM) will be operated under the oversight of the CADMOS facility in Toulouse, one of 9 ISS user support centres designated by ESA. CADMOS will also prepare and operate experiments developed by CNES. Lastly, 4 pallets outside Columbus will accommodate experiments designed to test out new technologies and to conduct astronomy observations or view Earth. Some 500 experiments are expected to be performed every year. The laboratory is designed to operate for 10 to 15 years. 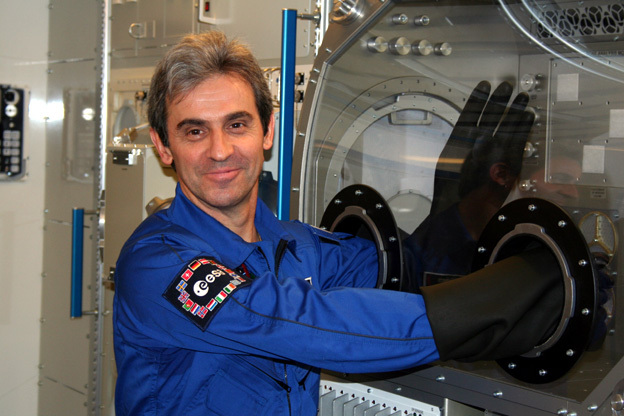 Frenchman Léopold Eyharts, a former CNES astronaut and now a member of the European Astronaut Corps, will be helping to bring Columbus to life on a long-stay mission that will begin by docking the module to the ISS in December. This operation will be supported by the crew of the U.S. Space Shuttle Atlantis, which will include German astronaut Hans Schlegel. Eyharts will then be working with the resident Expedition 16 crew of the ISS, American Peggy Whitson and Russian Yuri Malentchenko, to install, fire up and check out the laboratory. Léopold Eyharts is very happy to have been chosen for this symbolic mission and looking forward to carrying out the important responsibilities with which he has been tasked.